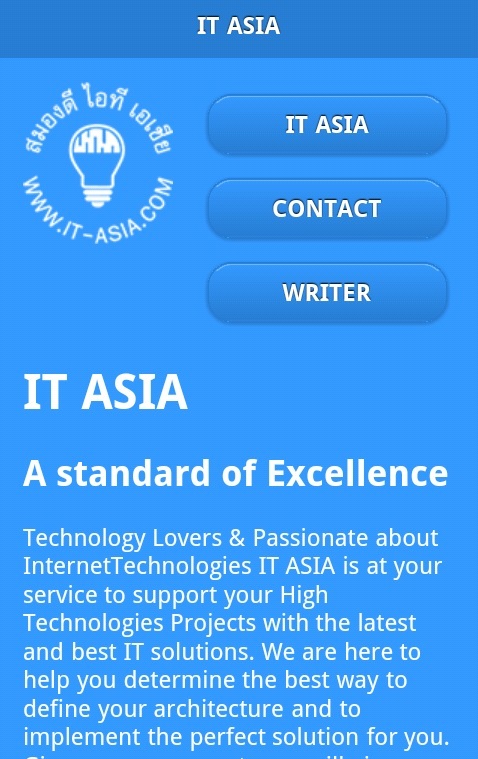 IT ASIA developed its own Android Application. 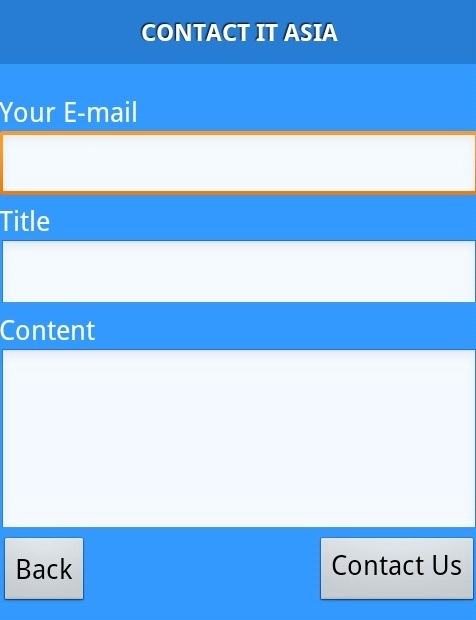 This application starts with a page to introduce the company. There's a rich text writer with Bold Underline and Italic, and the text can be saved as RTF in the SD Card. There's a contact form. It tries to find the phone gmail ID. If there;s no email associated in the phone, the form will ask the sender email address (to be able to reply the contact). Before sending the form, the application checks if the phone is connected to the Internet. At the end of the first page, there's an About Us button. This page offers a small game with our logo. This image moves with the phone, and follow the user's finger. When you click on this image, you are redirected to the contact form. Everything is made with our colors and our design. It is possible to add functionalities linked to an Internet server. The Smartphone can send data to a web server and can receive some too. It is possible to make with a Smartphone application everything you can do with an Internet application (with of course a lower resolution on a smaller screen, and a stripped design). We can do the same on Winphone and Ios (IPad)..